Full Bodied and Mild Pomace Olive Oil from Spain. Pomace olive oil is obtained from a mixture of refined olive pomace oils and virgin olive oils. 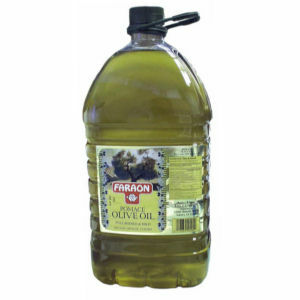 It is composed of 100% Natural Extra Virgin Olive Oil and Refined Olive Pomace Oil, which is a product obtained from the second phase Virgin Olive Oil.